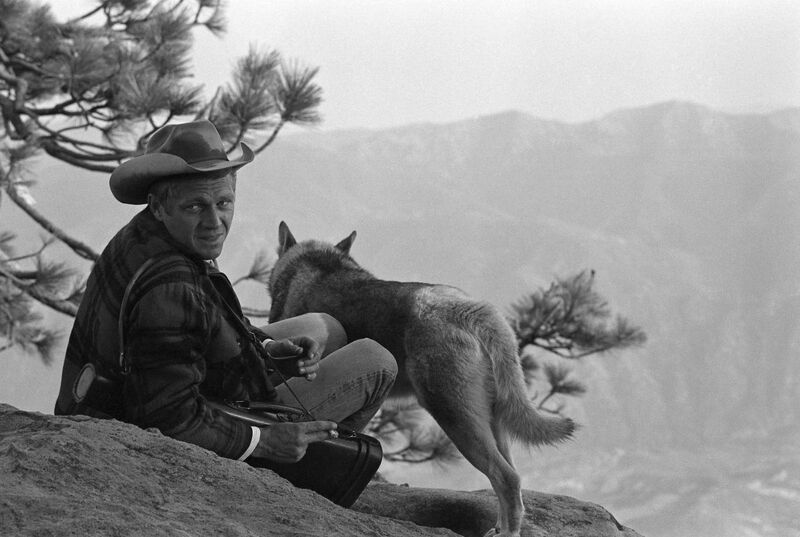 Three weeks and more than 40 rolls of film later, Dominis had captured some astonishing images — photos impossible to imagine in today's utterly restricted-access celebrity universe. Here, a series of pictures from what Dominis would look back on as one of his favorite assignments, along with insights about the time he spent with the man who would soon don the mantle, "the King of Cool." At his bungalow in Palm Springs, Steve McQueen practices his aim before heading out for a shooting session in the desert, 1963. 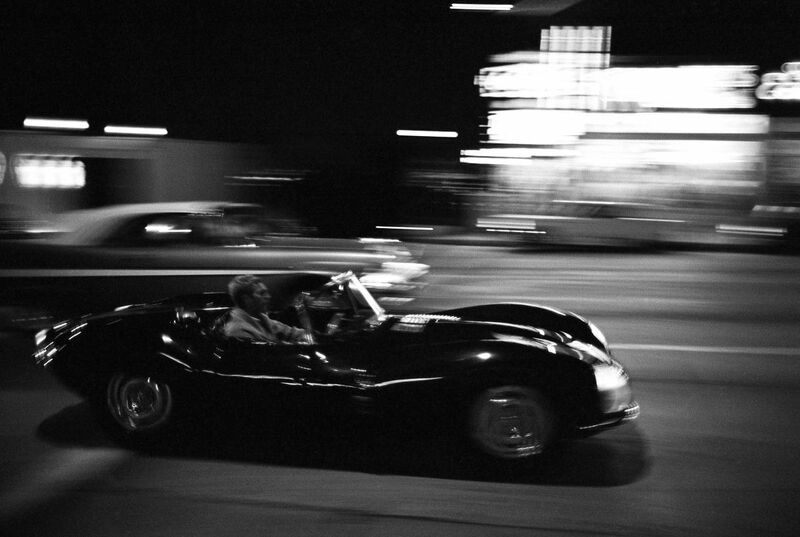 Steve McQueen driving on Sunset Strip, 1963. 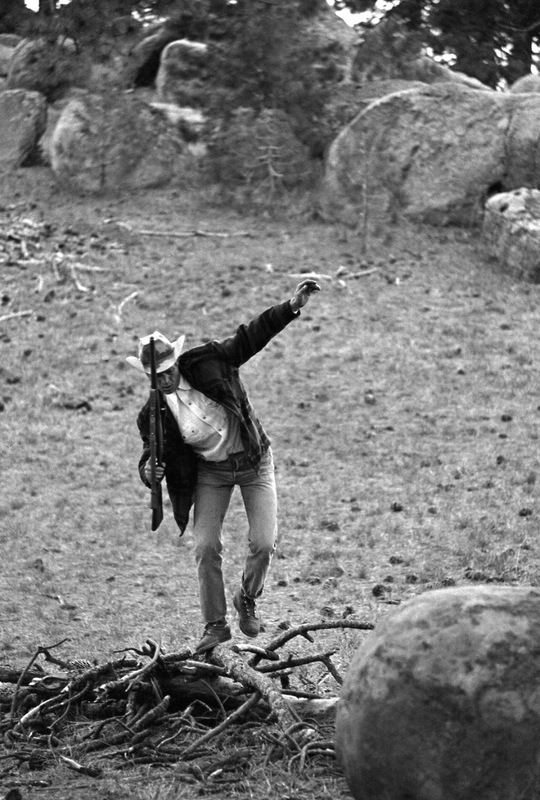 Steve McQueen and Neile Adams, his first wife, target-practice with their pistols in the California desert, 1963. 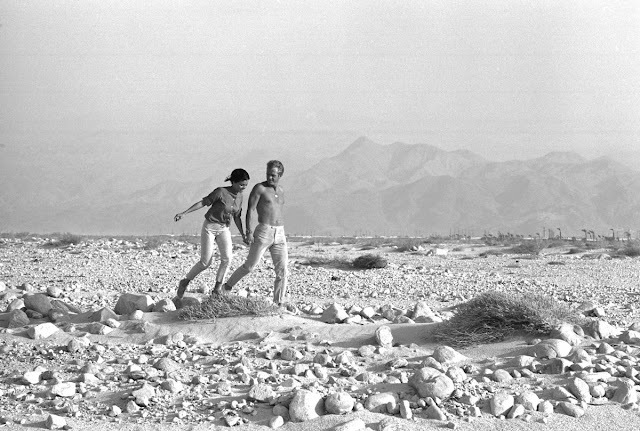 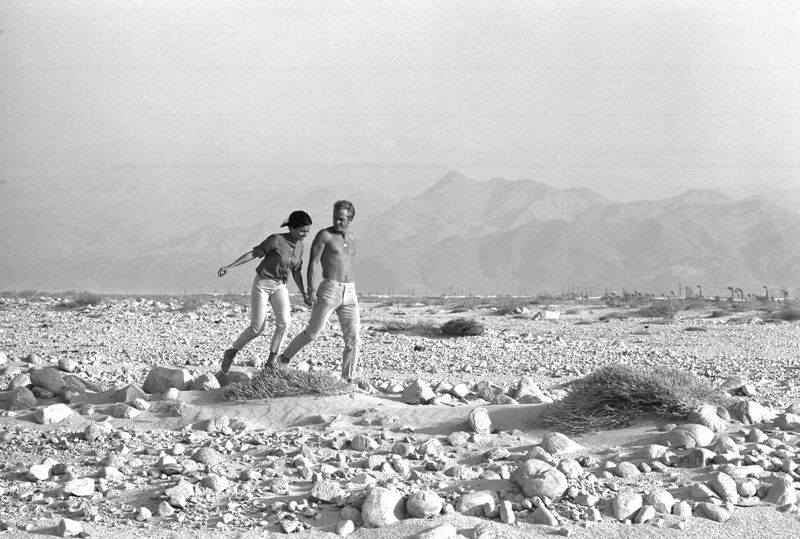 Steve McQueen and Neile Adams, his first wife, in the California desert, 1963. 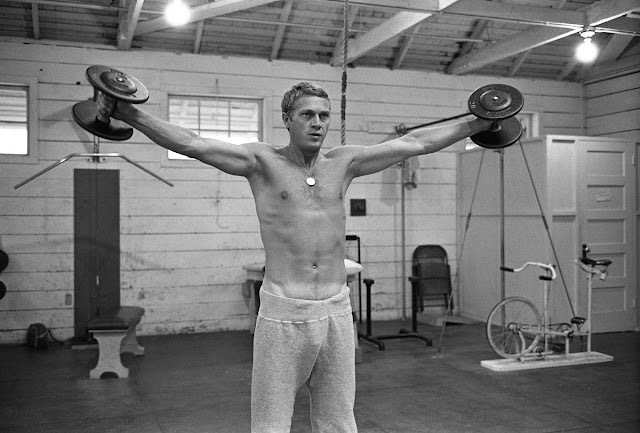 McQueen works out at the gym at Paramount Pictures while making the movie Love With the Proper Stranger opposite Natalie Wood, 1963. 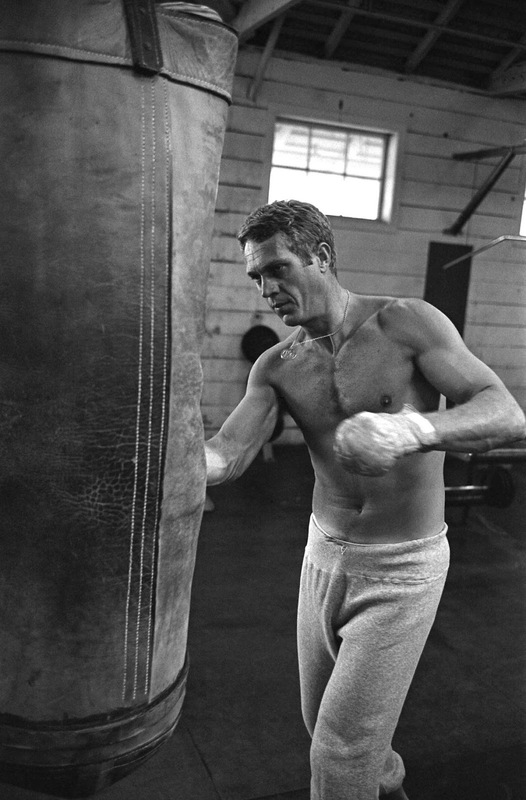 Steve McQueen lifts weights, 1963. McQueen takes a call in the living room of his eclectic home in Hollywood, 1963. 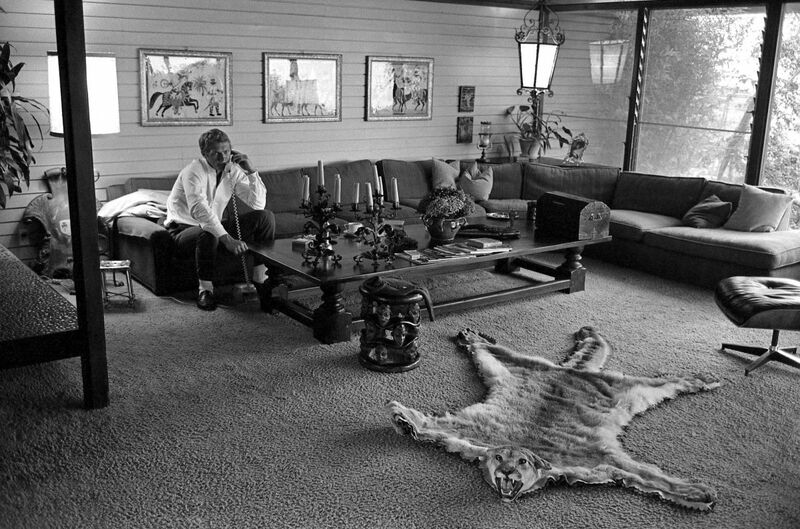 Steve McQueen and his wife Neile Adams lounge on the patio by the pool at their Palm Springs bungalow, 1963. 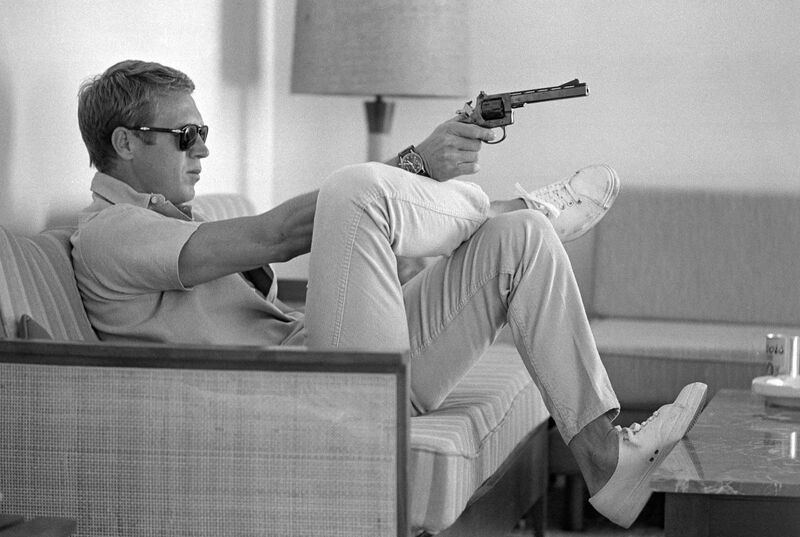 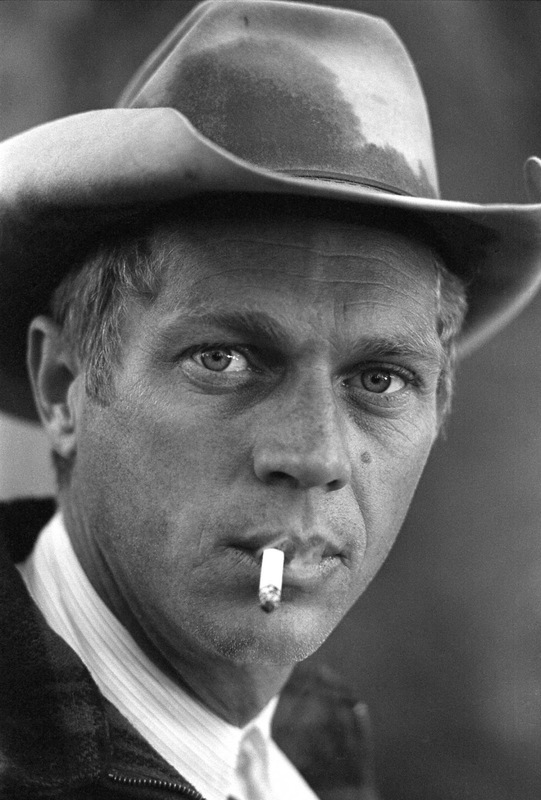 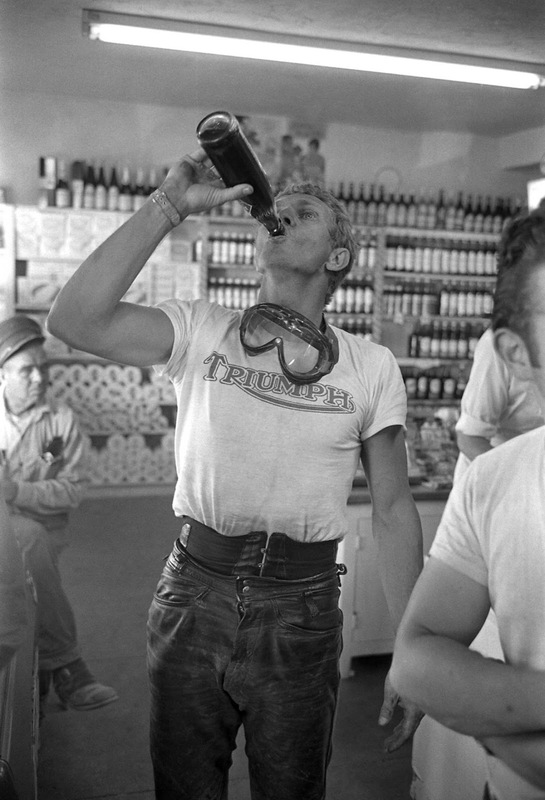 Steve McQueen, Palm Springs, 1963. 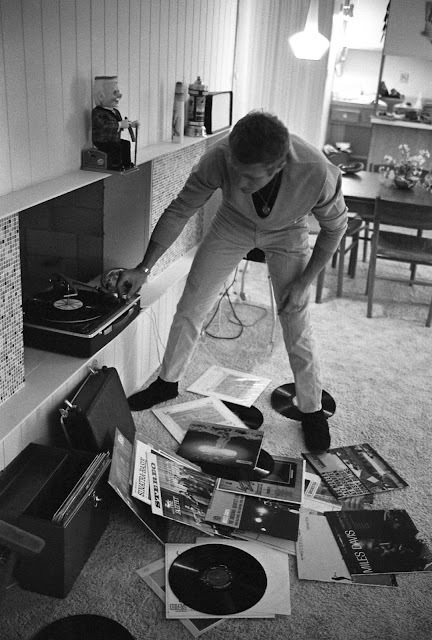 At his Palm Springs bungalow, Steve McQueen puts on a record, with LPs by Miles Davis, Sonny Rollins and Frank Sinatra scattered at his feet, 1963. Steve McQueen dances with his wife, Neile, 1963. 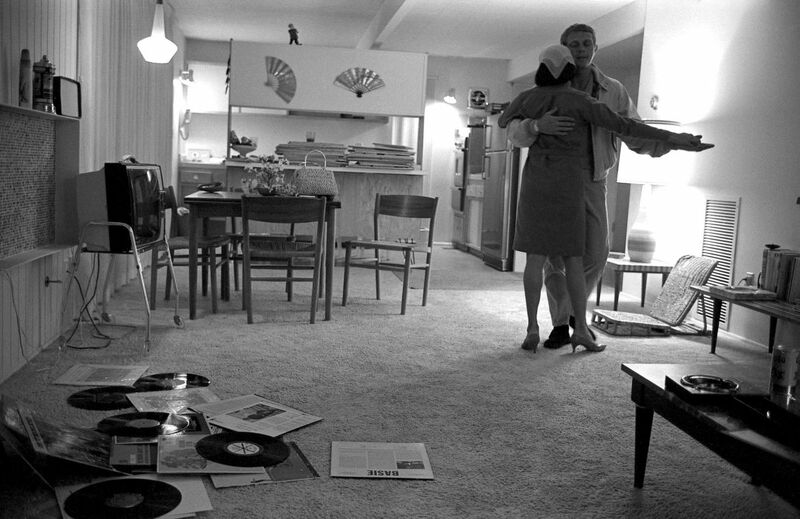 Steve McQueen with his wife, Neile, 1963. 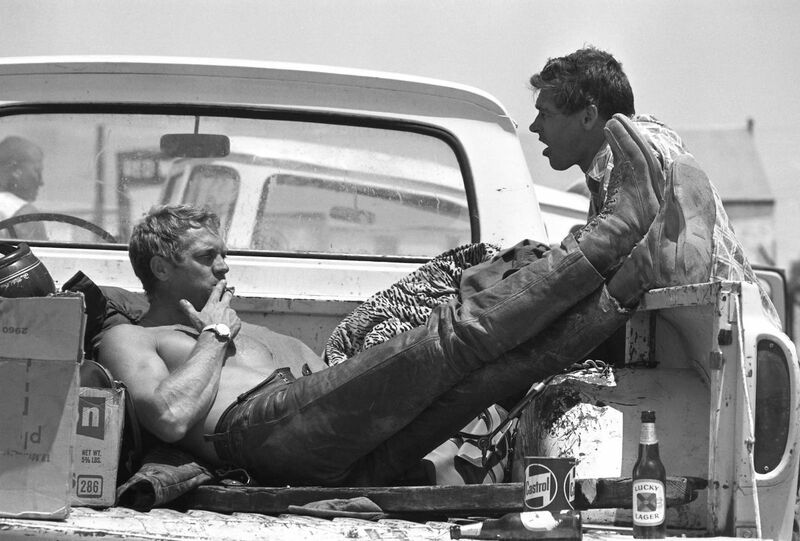 Steve McQueen takes a lunch break during a motorcycle race with Bud Ekins, his friend and stuntman for The Great Escape, 1963. 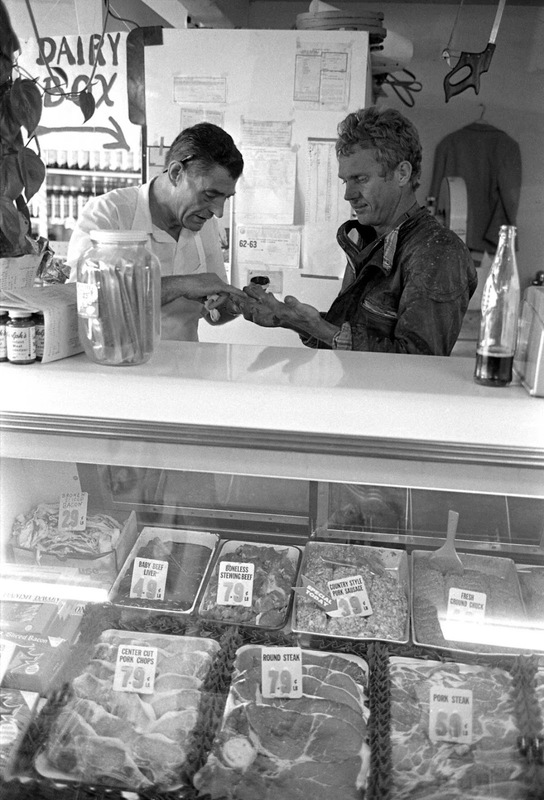 Steve McQueen makes a stop at a grocery store in Pearblossom, Calif., to get some treatment for race-bloodied hands, 1963. McQueen takes a deep swig of a tall, cool drink, 1963. 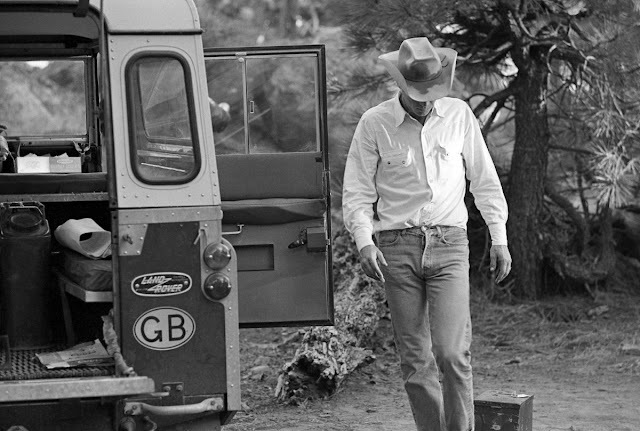 Steve McQueen on a camping trip, 1963. 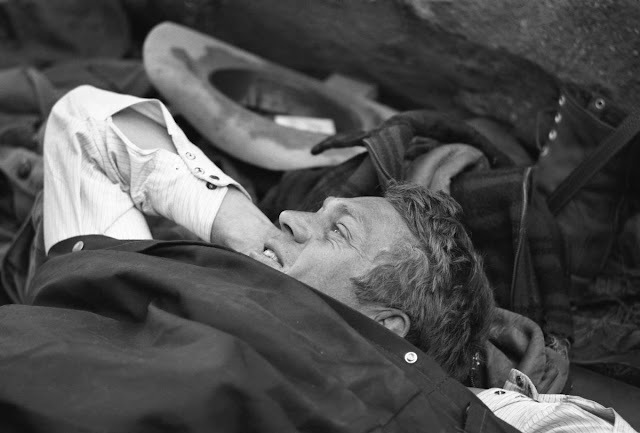 Steve McQueen in his sleeping bag on a camping trip, 1963. With his dog, a Malamute named Mike, by his side, Steve McQueen takes in the scenery, California, 1963.